Rio Tinto's chief executive says the miner is on a collision course with Apple and Google as they compete for a shrinking pool of technology workers, and if Australia doesn't ramp up its science skills Rio will have to look overseas for recruits. The warning came as Rio delivered iron ore using the world’s first ever long distance, heavy haul driverless train. 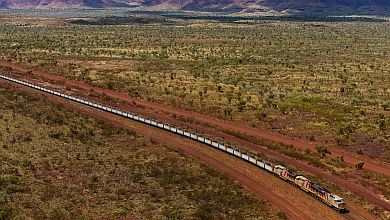 The robotic train carried 28,000 tonnes of iron ore a distance of 280 kilometres from Rio’s Tom Price mine in Western Australia to the Pilbara port of Cape Lambert. Its journey was monitored from an operation’s centre more than 1500 kilometres away in Perth. The mining industry is undergoing a major technological shift, automating many of its processes and bringing more unmanned vehicles on to mines, however, it has found Australia lacks the number of workers it needs to make this change.